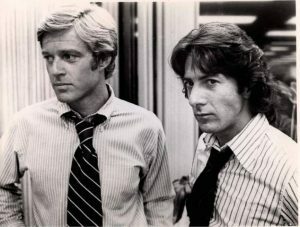 On Wednesday, January 30 at 5 p.m., Coronado Island Film Festival (CIFF) will launch its third annual Classic Movie Series, which features “an oldie but goodie every month” on the big screen, with the powerful 1976 political drama, All the President’s Men. All tickets are $10 and are on sale now at the Village Theatre box office, 820 Orange Avenue. Because classic screenings are often sell-outs, early arrival is recommended for optimal seating availability. Doors will open at 4:30. The film stars Robert Redford and Dustin Hoffman as Bob Woodward and Carl Bernstein, respectively, two relatively green reporters for the venerable Washington Post. Opening with Woodward reporting on what at first looks like a botched, insignificant burglary, it is a factual account of the astonishing scandal that unfolded before the eyes of the Washington Post newsroom and an increasingly stunned country, ultimately finding its way to the White House. Directed by the late Alan Pakula (To Kill a Mockingbird, Klute, Sophie’s Choice) and written by legendary screenwriter William Goldman (“Butch Cassidy and the Sundance Kid,” “A Bridge Too Far,” “The Princess Bride”), the film was nominated for eight Oscars and won three, including Best Screenplay for Goldman. Jason Robards, perfectly cast as Washington Post editor Ben Bradley, won for Best Supporting Actor. 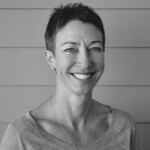 Kicking off what Vintage Cinemas CEO Lance Alspaugh says is “CIFF’s best Classic Series lineup yet,” festival organizers will take the opportunity to once again thank two of Coronado’s favorite sisters, Kathie Kerr Parish and Charlotte Kerr Harris, a.k.a. “Sister Act,” for their generous sponsorship of the 2019 Classic Movie Series. Except for December, all screenings take place at 5 p.m. on the last Wednesday of each month at Village Theatre. Postcards with the 2019 schedule are available at Village Theatre. The Fourth Annual Coronado Island Film Festival is set for Nov. 8 -11, 2019, Veterans Day Weekend. 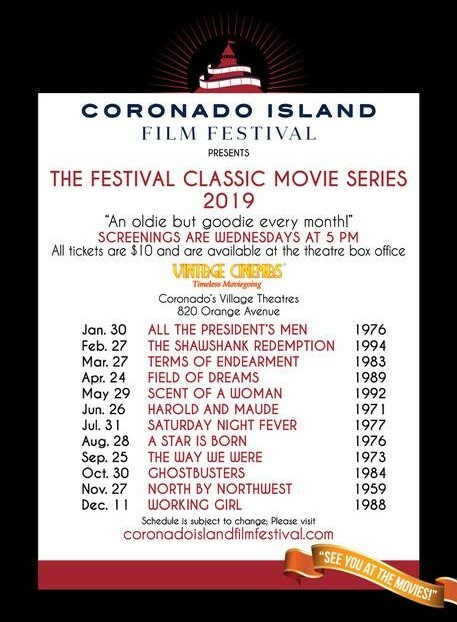 For more information, including sponsorship, donation and volunteer opportunities, visit coronadoislandfilmfestival.com. CIFF is a non-profit 501 (c)(3) corporation.